The Center for Archaeological, Anthropological and Management Research of that population gave this year to Unesco its management plan. In May , a group of technicians from the Center for Archaeological, Anthropological and Tiwanaku Management Research (CIAAAT) will begin excavations in search of a pyramid at the archaeological site Kantatallita, located in the Tiwanaku Archaeological Center. “We will explore Kantatallita because we have found in a satisfactory way, that is a pyramid of three levels, not only the model,” said the director of CIAAAT, Ludwig Cayo. The director explained that the pyramid was found during a search by GPR, it was done in several areas of the archaeological site of Tiwanaku. “GPR registration was applied in areas that are not on display. There, interesting anomalies were detected in the temple of Kantatallita. We have a budget of Bs450,000 to investigate Kheri Kala and Kantatallita” said Cayo. The CIAAAT presented yesterday, the management plan of the archaeological site to the Unesco, in order to save its two museums. “The management plan is based on these pillars: conservation site, the legal part and legality to protect it and the management resource for academic and scientific growth,” said the director of CIAAAT. 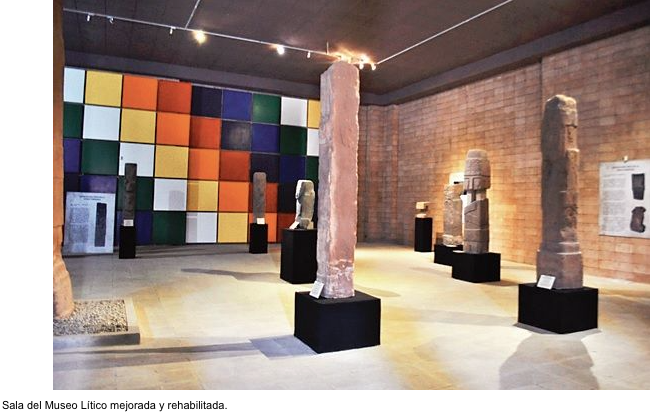 Until last year, the archeological site of Tiwanaku, the infrastructure of the Lithic and Ceramic Museum, presented a series of impairments. According to Cayo, the CIAAAT performed the readjustment of the ceramic and began with the repair, improvement and maintenance of both structure and interior rooms at both spaces. In addition, the implementation of museum projects, new display cases and explanations in museums projects. “This year should he delivered the complete rehabilitation of the Lithic Museum, with three rooms. In the Tile Museum, with board approval, until June the room will be reopened,” he said. Also, the Lithic Museum has three rooms equipped for tourists; Sculpture, Tiwanaku and Chacha Pumas. Inventory. 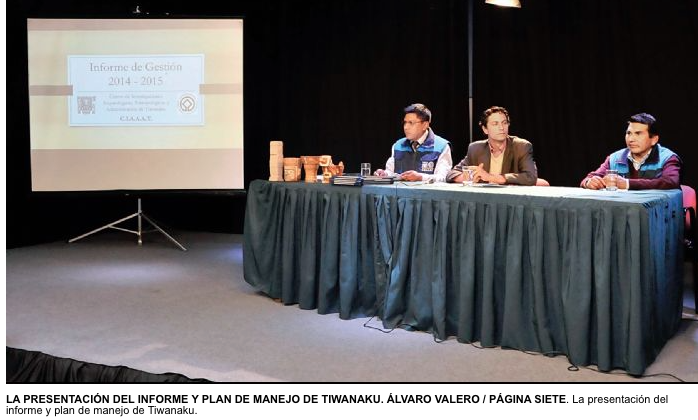 The inventory of archaeological pieces of the Ceramic Museum of Tiwanaku was performed. Lithic. In June 2014 the Bennett room was rehabilitated with a museology that shows the history of the piece. Deposits. Last year, the Conservation of Archaeological Materials Deposits project, was performed. The grid multicolored symbol displayed in the Lytic Museum is just propaganda MAS autocratic regime, nothing more than that. Spoils the show, but even if you take into account that there was no such Tiahuanaco “symbol” … is like putting a tennis racket on a football field. As always the llunkerio [brown-nosing in Quechua/Aymara slang] does everything to please his ‘majesty’.